The use of marijuana for treating conditions in companion animals remains a hot topic in the veterinary world. Veterinary researchers continue to seek federal approval for research, as well as gather information from pet owners on how they are using cannabidiol products for their animals. At the beginning of 2017, the federal Drug Enforcement Administration (DEA) declared that marijuana extracts containing cannabidiol (CBD) were illegal Schedule I drugs. This ruling put the classification of marijuana products in the same category as heroin and LSD, which made it difficult for researchers to study potential medicinal qualities. As a result, veterinary research around the country came to a halt. As previously reported in the April 2017 issue of American Veterinarian®, the ruling hasn’t swayed the shared interests of pet owners and veterinarians who are curious as to how marijuana products could be used to treat predominant pet ailments, including anxiety and joint pain. Unfortunately, without proper research, the effects of medications containing CBD remain unknown. In the meantime, researchers from some of the nation’s veterinary medicine programs continue to seek federal approval for medical marijuana research while others hope to gather information from pet owners on how they already use CBD products for their pets. On its website, Colorado State University’s Veterinary Teaching Hospital has requests for clinical trial participants to assess the efficacy of CBD in treating canine osteoarthritis and epilepsy. The Associated Press recently released an article regarding the current push to have barriers removed so both pets and people can benefit from clinical trials. 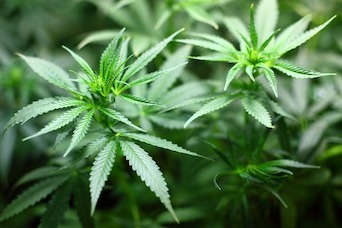 Among the experts quoted in the article, Dawn Boothe, DVM, MS, PhD, professor of physiology and pharmacology at Auburn University's College of Veterinary Medicine, said the classification of marijuana products containing CBD as a Schedule I drug creates a "major, major, major, terrible roadblock." Boothe is currently waiting for federal approval to begin a study of marijuana's effects on dogs with epilepsy. Though not directly testing CBD use, the University of California, Davis, School of Veterinary Medicine launched a survey in November hoping to capture data on companion animals receiving cannabis products. The university says the anonymous input will be used to educate the public on the growing role of these products in the pet population and potentially lead to future research.